What is now Northumberland, England was once part of the Roman frontier and where you will find Housesteads Roman Fort, one of the best preserved Roman forts anywhere along Hadrian’s Wall. 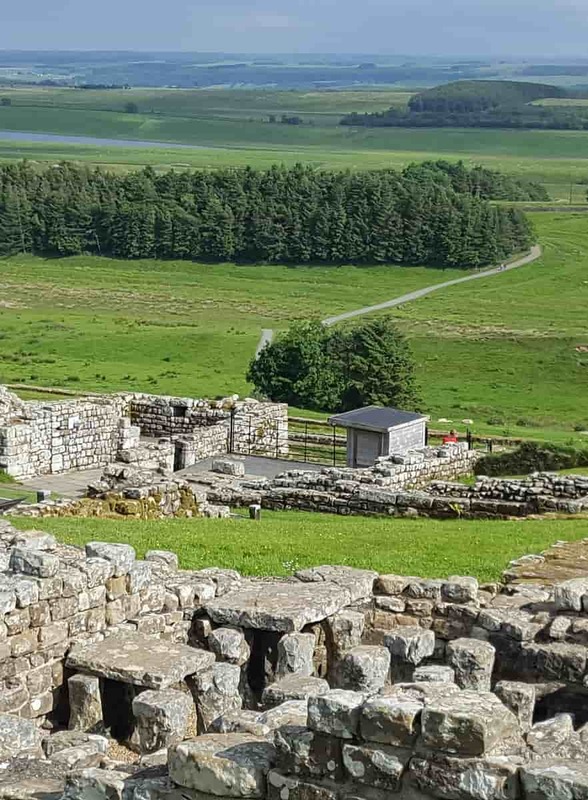 If you enjoy the outdoors and enjoying learning about Roman history, a day trip to Hadrian’s Wall & Housesteads Roman Fort is a wonderful way to spend the day. It is our choice for the best place to see Hadrian’s Wall! Hadrian became Roman Emperor in AD 117 and conquered lands far beyond Rome. Hadrian made it all the way into England around AD 122 and once he fought off the barbarians, it was decided that it would be better to secure the border than to expand the empire further and Hadrian had the wall built. The wall was begun in AD 122 and took about 6 years to complete. 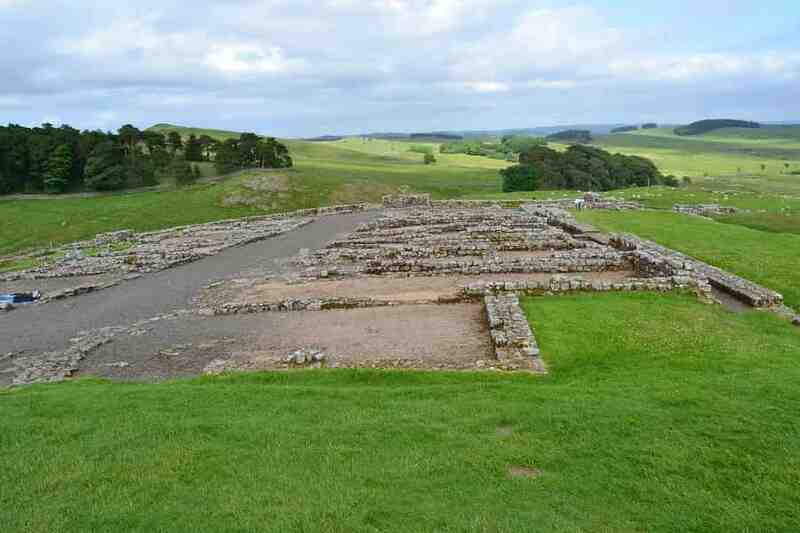 Housesteads Roman Fort came a few years later. Hadrian’s Wall is a UNESCO World Heritage Site and spans over 70 miles. While there are many trails you can take to see the wall and it’s fortification, we found the Housesteads Roman Trail to be best. 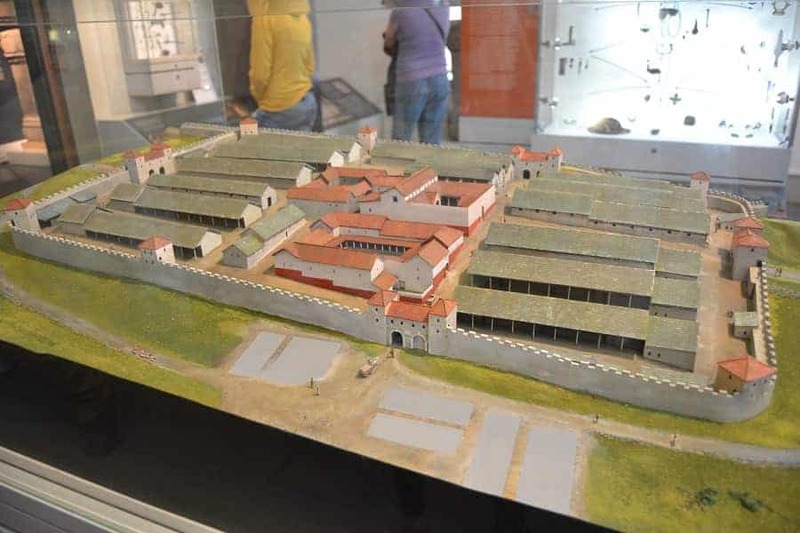 There is a museum that contains a scaled model of what the Roman Fort originally looked like along with objects found during excavations at Housesteads. Seeing this ahead of your walk will give you a glimpse into what the ruins you will see actually once looked like. Be reminded that all that remains are stones. During your day trip to Hadrian’s Wall & Housesteads Roman Fort, you will find various stone ruins. You’ll see remnants from the soldiers barracks, hospital, Roman baths and even communal toilets. Probably the best part of walking around Housesteads is the view. To say that is breathtaking is an understatement. It is still remote and the views of the countryside go on for miles. You have free access to all that is here. You can climb, walk and sit on all of the stone ruins, but please take care not to be disrespectful of this amazing place. It is one of the few places that you can actually be so close to history and if that is not respected, it might not always be the case. A day trip to Hadrian’s Wall & Housesteads Roman Fort is free for English Heritage and National Trust members. Parking charges apply. The car park is managed by Northumberland National Park. You should wear comfortable walking shoes as you will be hiking uphill and downhill on a trail as well as walking along rocky paths that can be uneven. You will find Hexham to be the closest city with overnight accommodation if you choose to stay within a few miles. If you don’t mind driving a bit further, you can easily stay in larger cities like Newcastle and Durham. 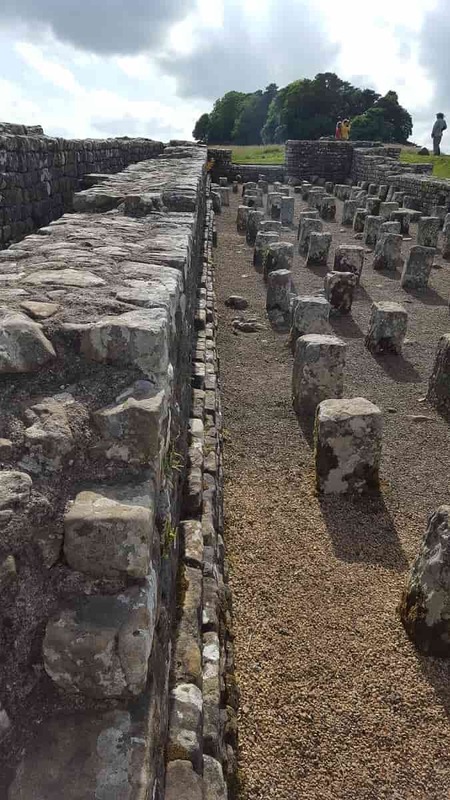 We visited Housesteads Roman fort & Hadrian’s Wall on our way to Jedburgh, Scotland, which is also about an hours drive. 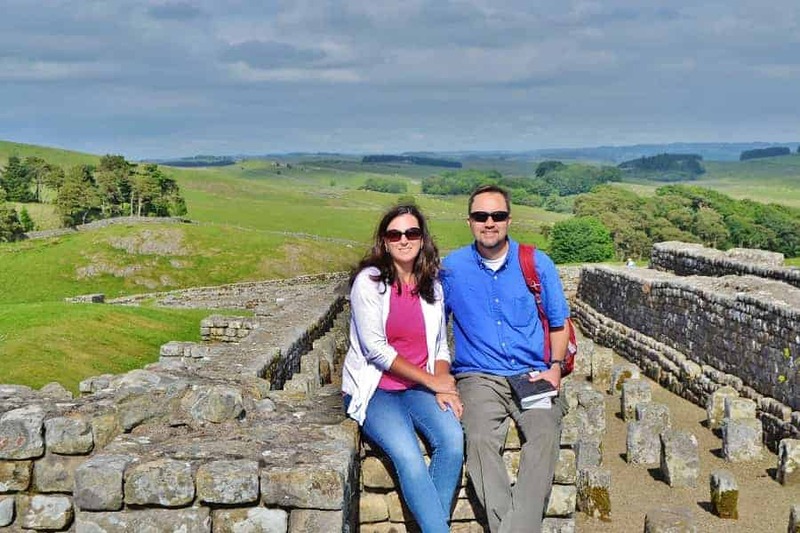 Have you had a chance to visit Hadrian’s Wall & Housesteads Roman Fort? 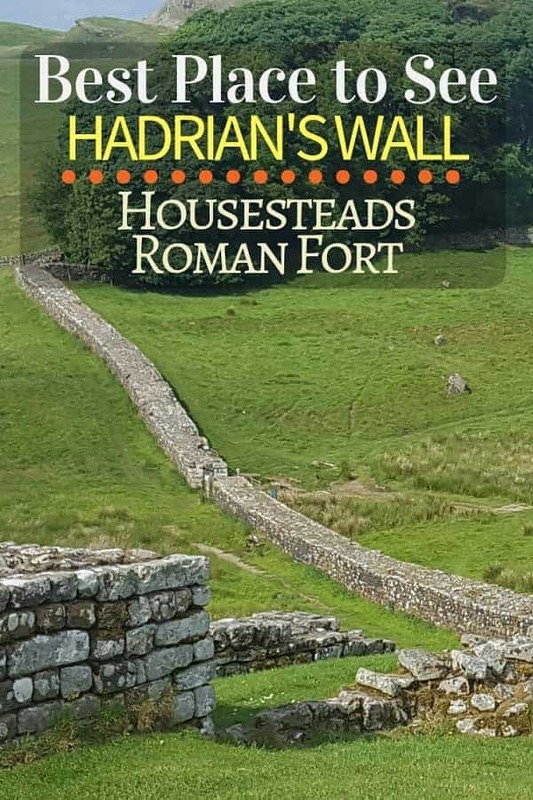 Looking for another option to view Hadrian’s Wall? 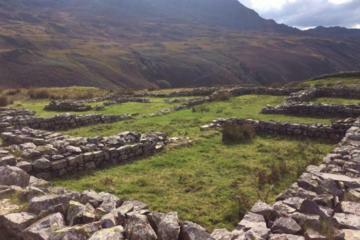 Consider taking a tour out to the Roman fort at Hardknott Pass. This tour will take you both to Hardknott and to Housestead’s by private car. I’ve wanted to visit Hadrian’s Wall since I was young (I loved Robin Hood: Prince of Thieves :D), and nowadays I work in a museum, so no excuse not to visit! Absolutely beautiful part of Britain, and this has given me a good poke to visit there! Never been but its great that you can walk around there freely and explore! I’m originally from Isle of Wight that also has many roman remains always interesting to know more. I’d love to visit so will pin for later! I honestly knew nothing about this location before reading your post! This looks like an amazing place to visit. I love visiting ancient ruins, so I’m definitely adding it to my bucket list! One of the fun things of visiting Europe was seeing the Roman ruins everywhere. It really made the Roman Empire come to life in our minds instead of just seeing an abstract idea in our history books. And now we have another place to add to the list to go see more of them. Love your photos. 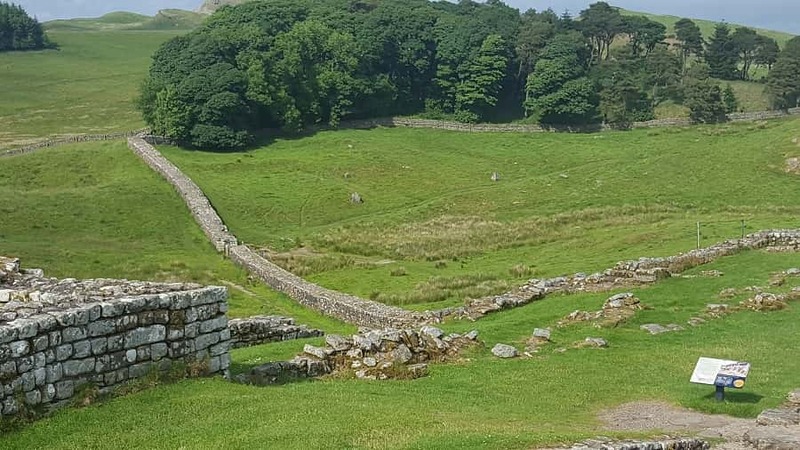 Hadrian’s Wall sounds pretty fascinating – I came across a sponsored walk where you can walk a large portion of it – I might sign up, your article has sold it to me, the ruins look wonderful! Wow, the Housestead looks so tranquil! I love looking at the countryside and outdoors as well- feels so peaceful!